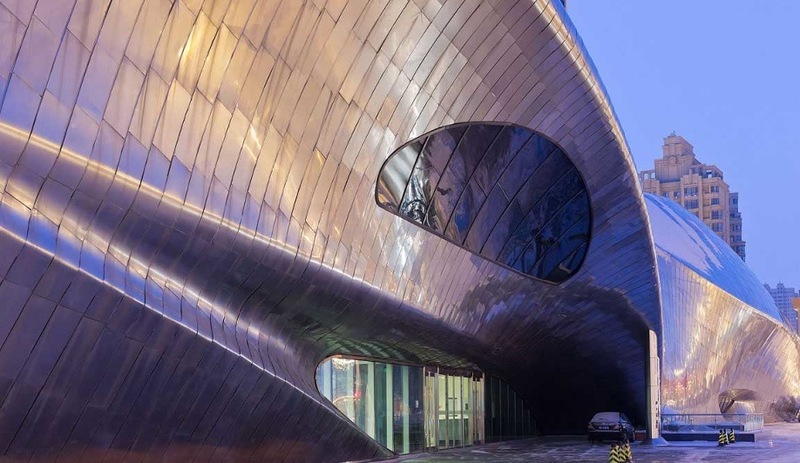 Beijing architecture firm MAD – the force behind the curvy Absolute World condo towers west of Toronto, and the onion-like Ordos Museum in Mongolia – has designed the twisted stainless steel China Wood Sculpture Museum in Harbin. 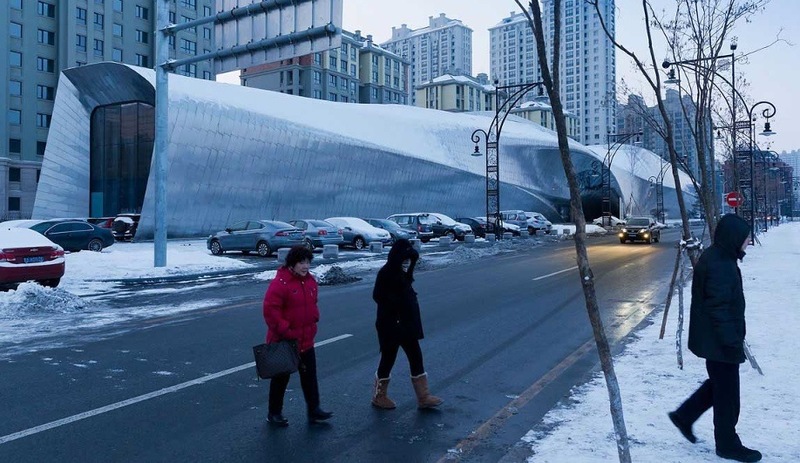 The recently opened building evokes many things – a fallen icicle (Harbin, in northern China, is known as Ice City), a gnarled piece of wood and other natural phenomena. 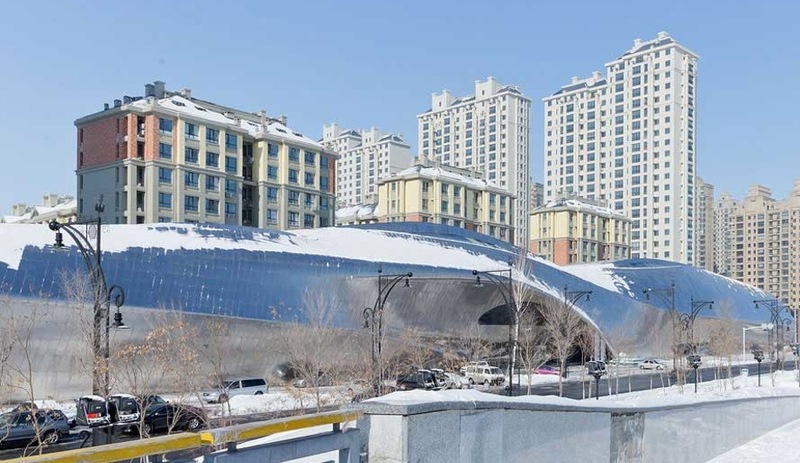 But for those familiar with MAD‘s condo towers in Mississauga, a city west of Toronto, the form also resembles a horizontal version of one of the buildings. 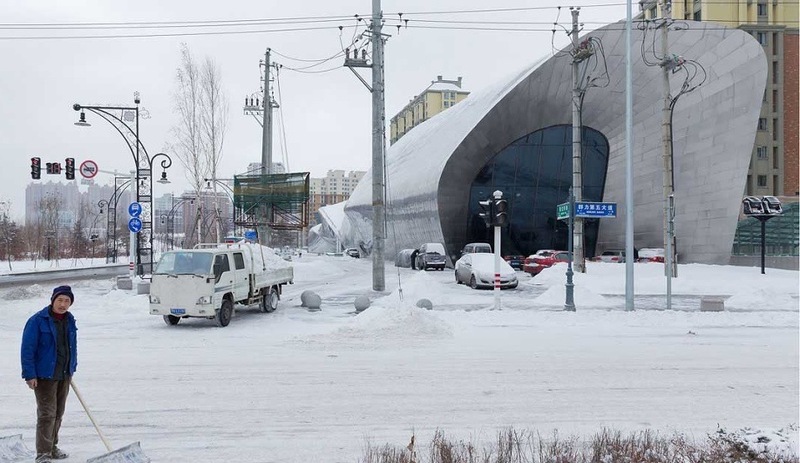 Clad in polished stainless steel, its 200-metre-long body twists around at the centre, where a series of skylights puncture its skin to let in the northerly light. 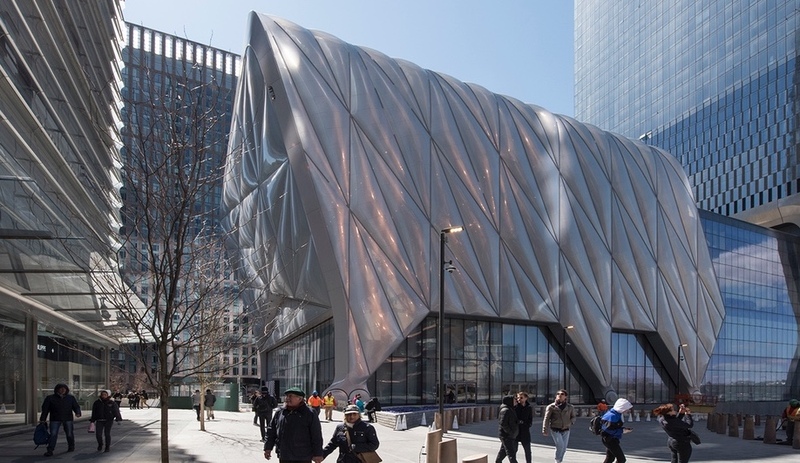 The museum is meant for local art – the namesake wood sculptures as well as landscape paintings of snowy landscapes – and is also a symbol of both the city’s expansion, and the prodigious number of museums popping up all over the country. 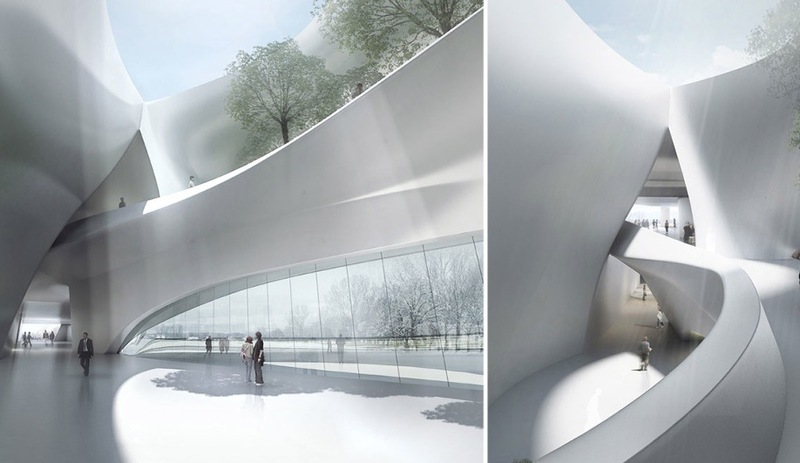 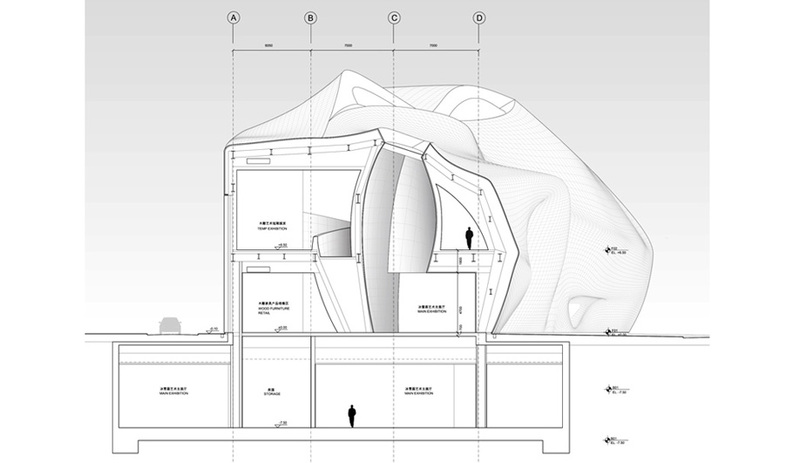 As for the former, the building is meant to anchor a new town linking the old city of Harbin to the airport; the masterplan includes a yet-unbuilt library by MAD as well as a music hall by Arata Isozaki and another museum for Asian art. 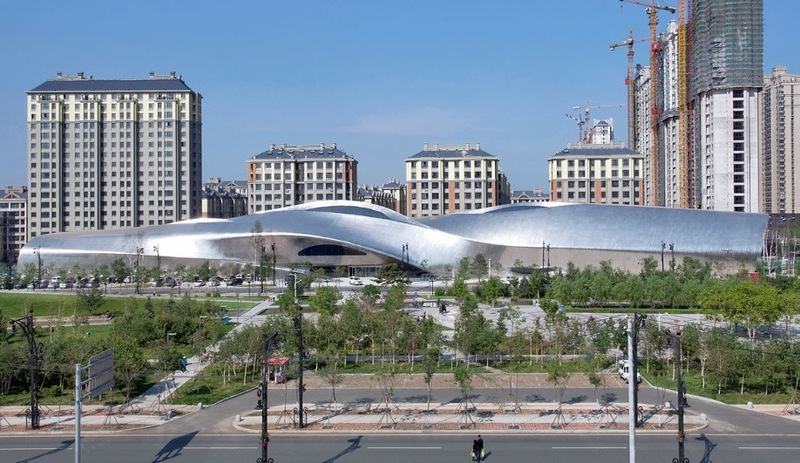 Each year for the last few years, some 100 government-funded museums – including the Shanghai Museum of Glass, the China Art Palace and the Ordos Museum in Inner Mongolia, also by MAD – have opened across the country. 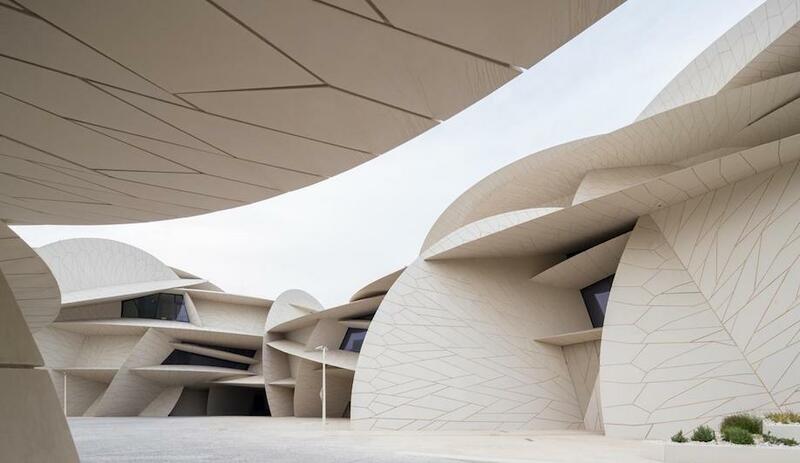 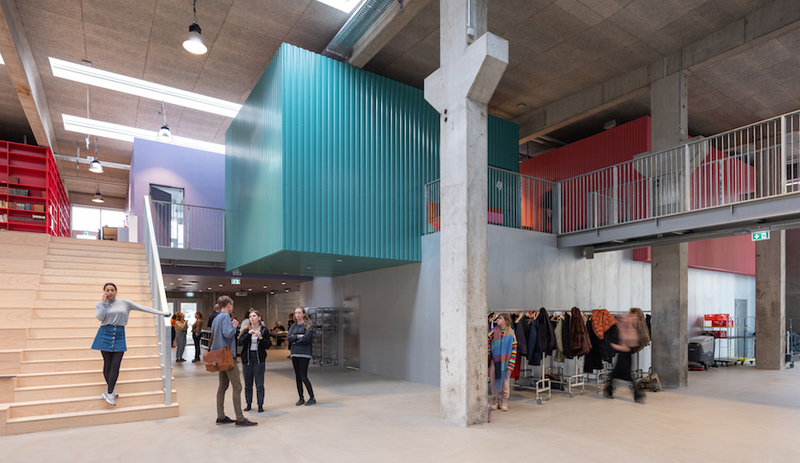 Curators scramble to fill them with art collections and exhibits, yet the cultural institutions struggle to attract enough visitors (especially with shows that stage Western art) even though many of them offer free admission. 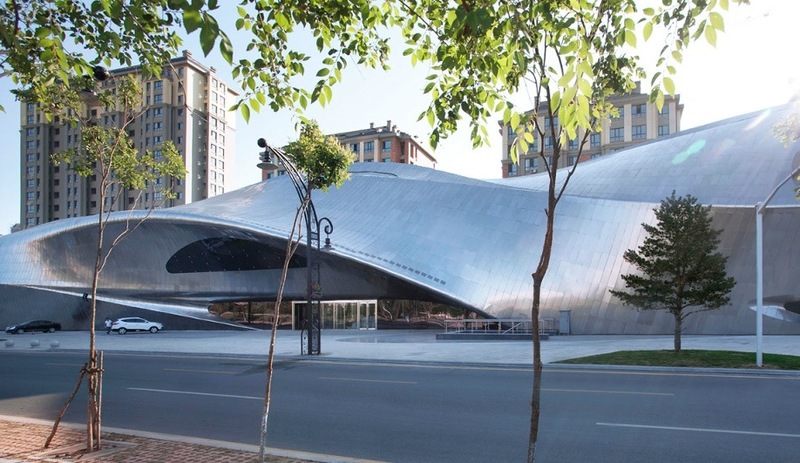 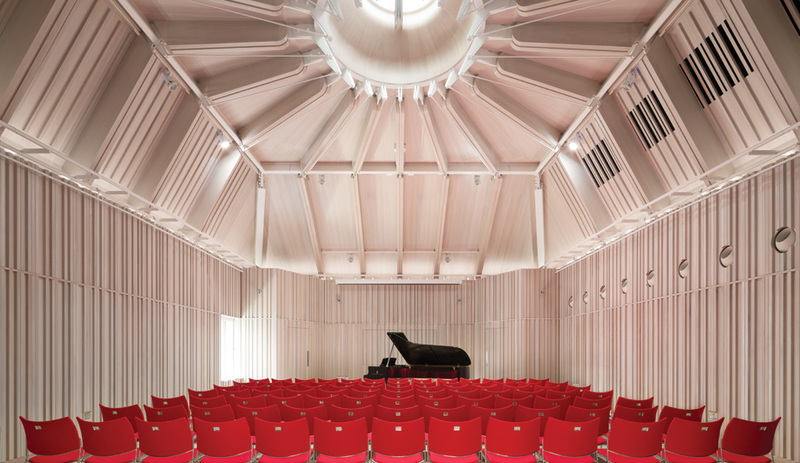 As for the Wood Museum, MAD may have not been in on the interior programming, but partner Ma Yansong, who runs the firm with Dang Quin, feels the intrinsic value of the 13,000-square-metre building is its potential to be used however the city sees fit.